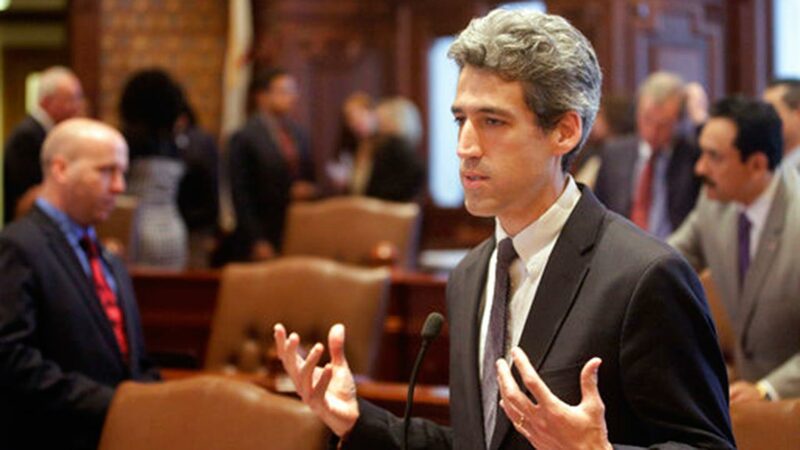 CHICAGO (WLS) -- State Senator Daniel Biss announced he had dropped his running mate, Alderman Carlos Ramirez-Rosa, in his bid for Illinois governor. The Evanston Democrat had selected Ramirez-Rosa to run alongside him in the Democratic Primary. But last week, Congressman Brad Schneider pulled his support of Biss, citing Ramirez-Rosa's support of the BDS Movement, a group that calls for boycotts of companies that do business with Israel. In a statement, Biss said that when he initially chose Ramirez-Rosa as a running mate, he did not hold that view of BDS. While I respect his right to come to his own conclusions on the issue, it simply wasn't the understanding we shared when I asked him to join the ticket. In light of this, we have agreed that I will be moving forward with a new running mate. It was not an easy decision, but it was the right decision," Biss said in the statement. A new running mate will be announced at a later date.